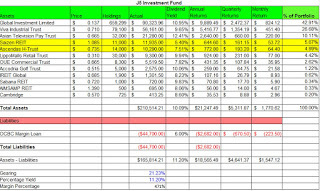 Hi everyone, just to share with you on the updates of my investment portfolio. I have added 32,000 shares of Asian Pay Television Trust at $0.63 each last week and I tried to buy more this week but did not manage to. Nevertheless, the price has gone up to $0.665 which provides a safety net for me going into 2016. I have also added 14,000 shares of Ascendas Hospitality Trust at $0.73 on Christmas Eve, which gives me a chance to participate in the upcoming takeover bid. If it succeeds, I think I stand to gain about $1,000 in profit which is quite good for me. Thus, here is the portfolio which I have currently. Kindly note that those highlighted in yellow are short-term investments and they are both in the process of taking over. 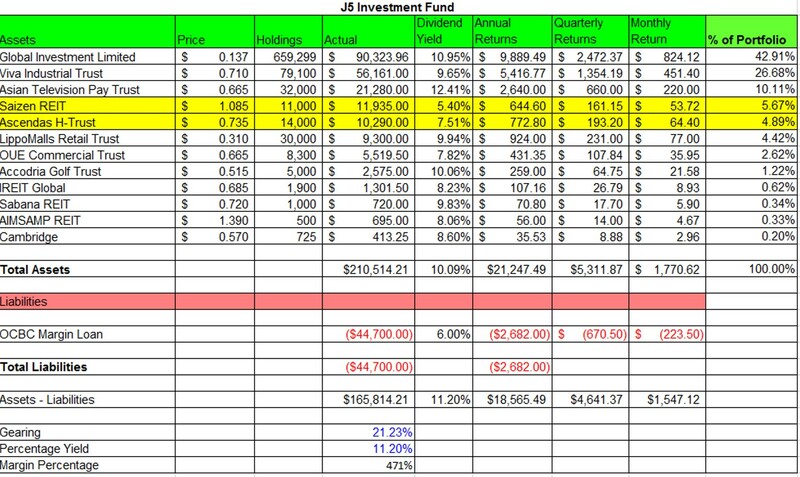 Once I monetize those in yellow, it will be used to pare debt in the margin loan. Personal loan approval of all kinds in 24hrs of banking.